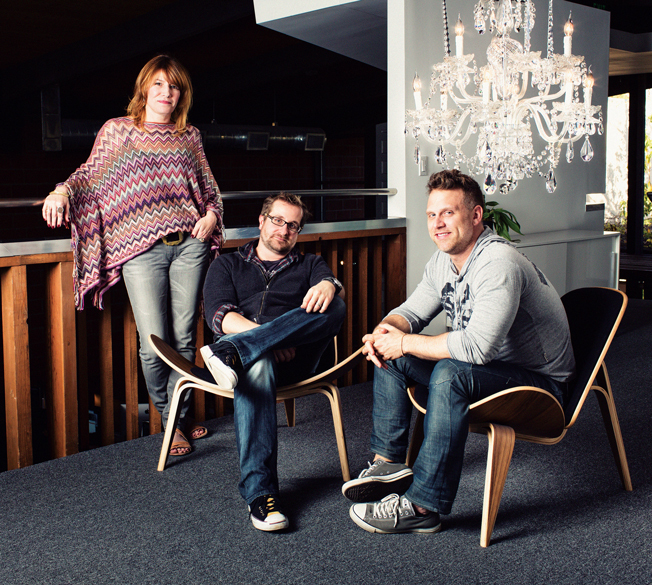 With one small client, an angel investor and well-worn credit cards, Royale’s founders opened their studio nearly seven years ago. The upstart was given three weeks to create a 90-second video about fashion brand Diesel, off of which Royale’s reputation was launched. With an office in Los Angeles for animation and visual effects and another in Seattle focused on digital projects, Royale now works for big names like Nike, Hyundai, PNC Bank, Coke Zero and Vitaminwater, among others. But the studio stays true to its founding values in crafting memorable characters and storytelling. For Oreo last year, the big bad wolf, a vampire and great white sharks frolicked through the whimsical spot while falling under the cookie’s spell.